I have one word for this wedding: HAPPY! The entire day was so full of love, happiness, and lots of laughter. Amelia and Matt, and their entire wedding party were so fun to be around. 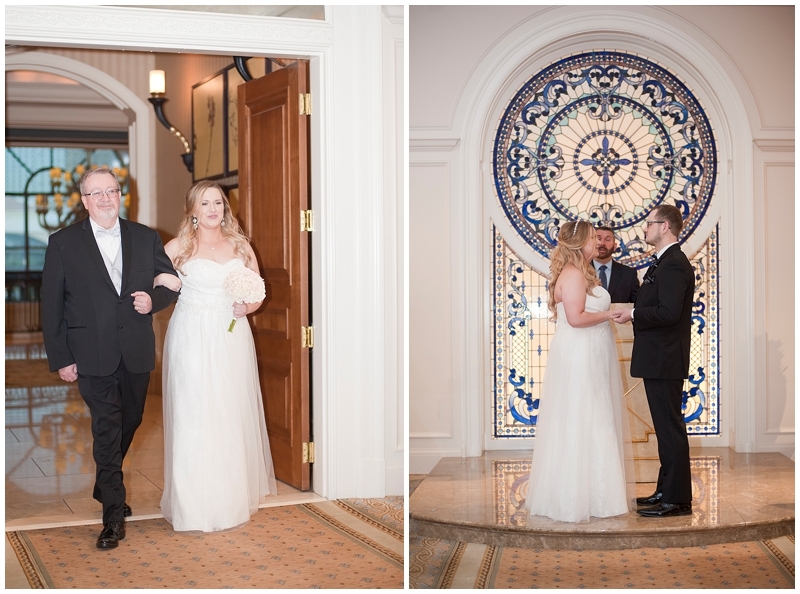 They chose to have a Las Vegas destination wedding because they wanted a relaxed and fun-filled day with their friends and family. And they achieved just that. Fun-filled, relaxed, and joy filled, totally our kind of day! I met up with Amelia and her crew getting ready in their suite at The Mirage, while Amelia C. and Co. worked their beauty magic. Once they were done with hair and makeup, it was time to get dressed and go down for the first look! Meanwhile, Jason was also hanging out with Matt and the guys while they finished getting ready. Amelia and Matt had a super sweet first look and at that moment you could just feel how in love these two are with each other. It was the sweetest! 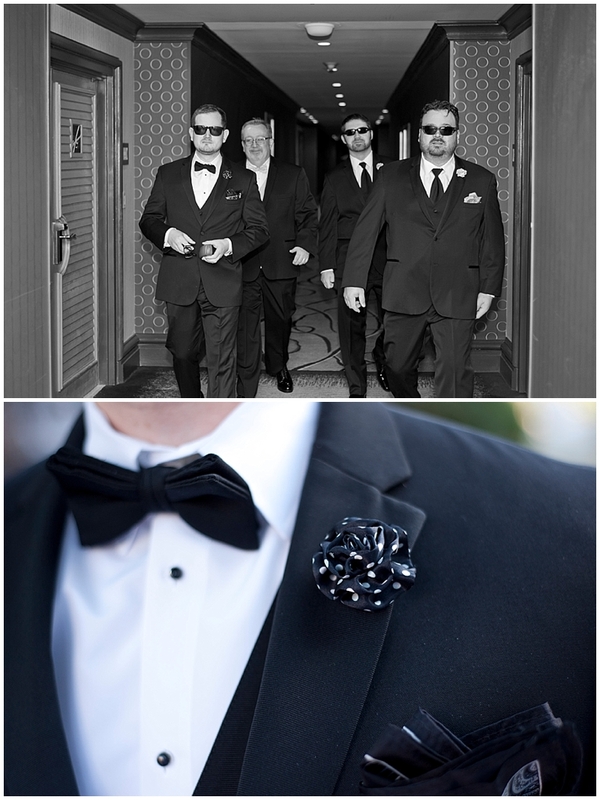 We then met up with the rest of the bridal party and made our way to Caesars Palace for the ceremony. We took a quick detour before heading to one of our favorite reception venues on the strip, Joe's Seafood Prime Steak, and Stone Crab, to get some evening shots of the newlyweds with the Vegas lights behind them. 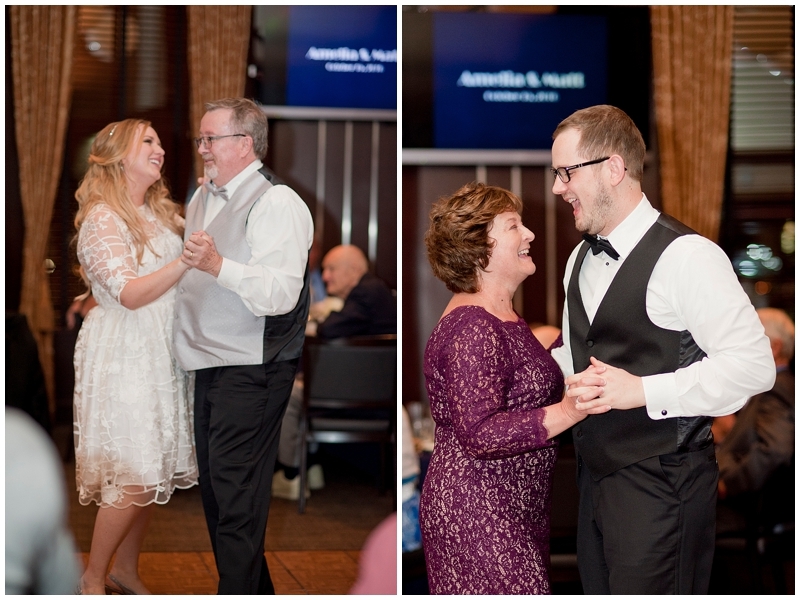 Once at the reception, they were greeted by their closest friends and family members all ready to have fun! It was truly an amazingly happy day!